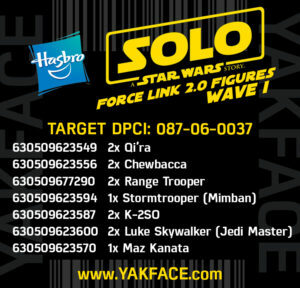 We have acquired the details (UPC/DPCI and release date) for the Target Exclusive 6″ Black Series Chewbacca (Vandor-1) from Hasbro. 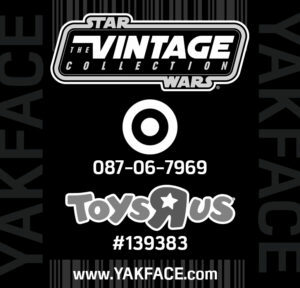 According to Brickseek and our contact at Target, collectors can expect it in early May for $19.99. We’ve updated our Master List for these details as well. 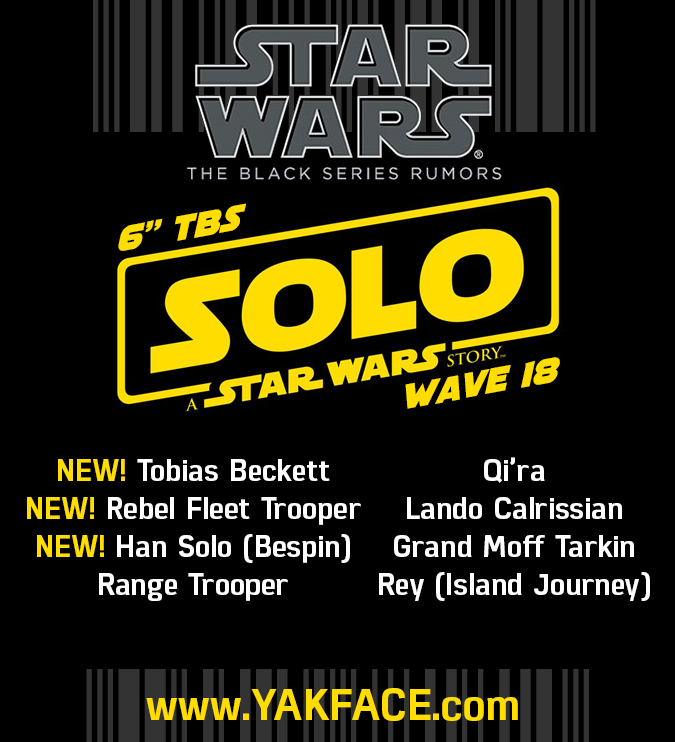 For those wanting to plan ahead on their Black Series purchases, here are the details for Wave 18 (2018 wave 3). Correlating UPCS/SKUs for the above can be found on our Master UPC/DPCI/SKU List. 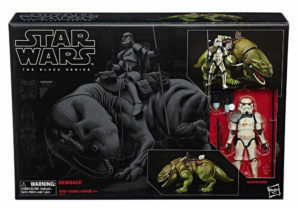 Images have also been released for the 6″ Black Series Sandtrooper and Dewback set. Look for these next month on shelves and online for around $60.00. 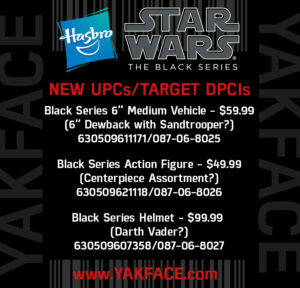 Click on through for boxed, loose shots and relevant UPC/SKU/DPCI info. Also today, we can share the full case breakdown, UPCs and Target DPCI for the first wave of Force Link 2.0 figures to be released on April 20. All info has been added to our 2018 Master List for easy reference. 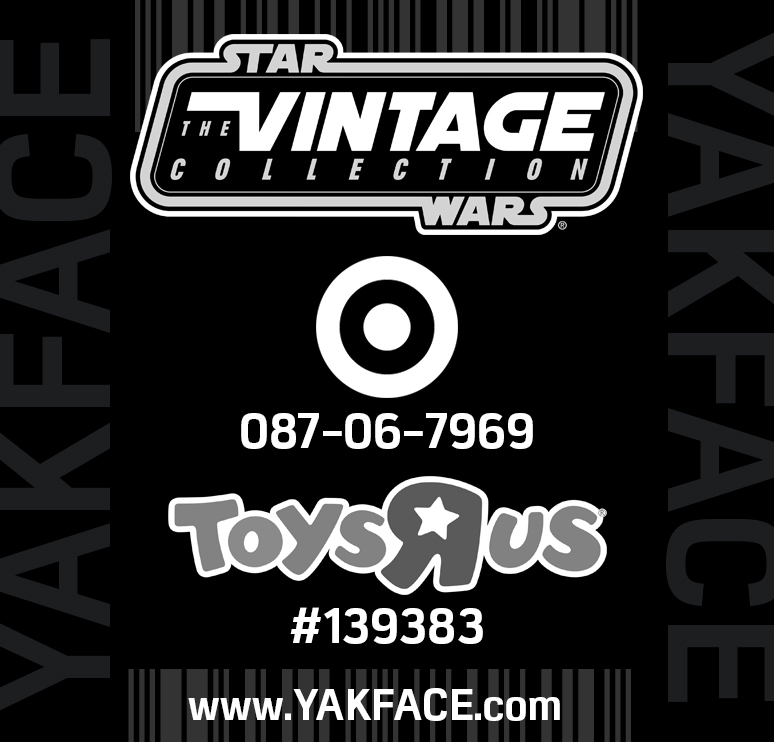 With the acquisition of the correct UPCs yesterday for the 2018 Vintage Collection, we can now share the Target DPCI and Toys”R”Us SKU for both stores. Thanks to TargetGod and Roger Roger for the info. 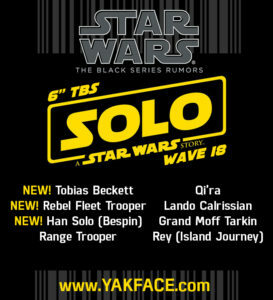 We’ve now received some new info needed to release breakdown of some of the recently leaked (and some officially announced) Hasbro products planned for Force Friday 2! 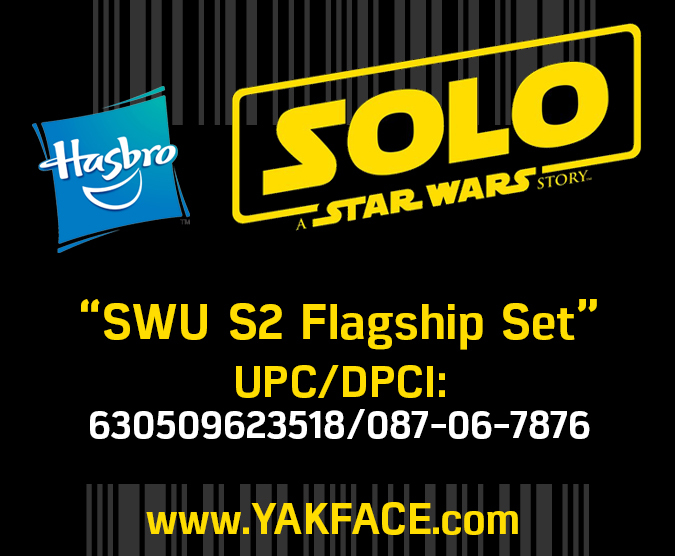 Click on through for a breakdown of items complete with DPCIs, Walmart SKUs, individual product UPCs and MSRPs that will help you get a headstart on budgeting and us in assembling our Force Friday 2 Checklist! Be sure to look for two new items previously unannounced as well. 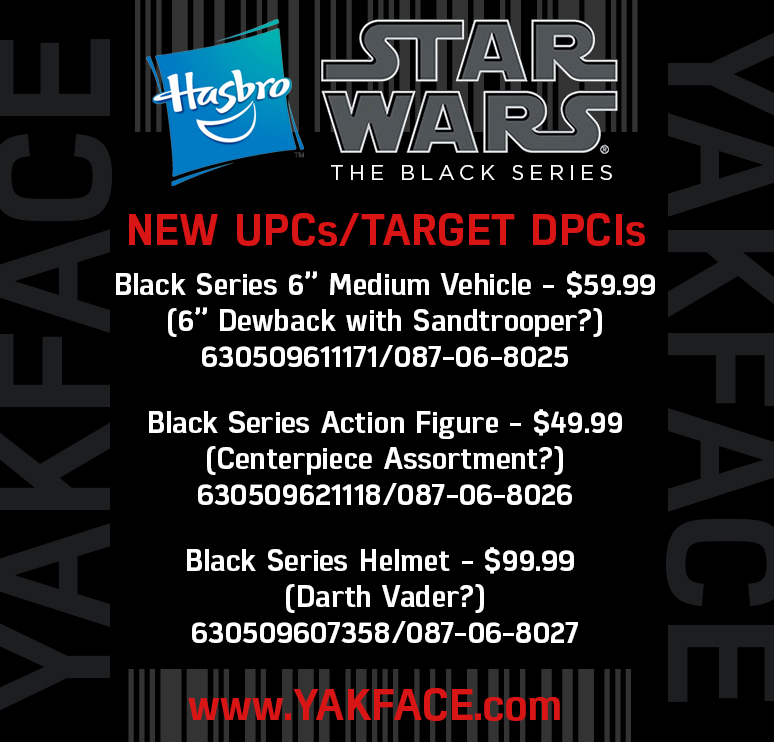 After some exhaustive searching through Brickseek, I managed to find the Walmart SKUs and UPCs for the upcoming 6″ Black Series Deluxe Luke Skywalker with Landspeeder and Rey with Jakku Speeder. 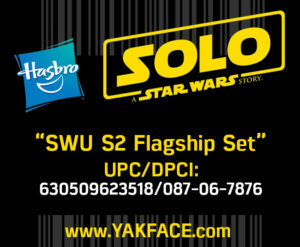 Look for these on shelves around Force Friday (Sept 1). Watch for more reveals and intel later today.